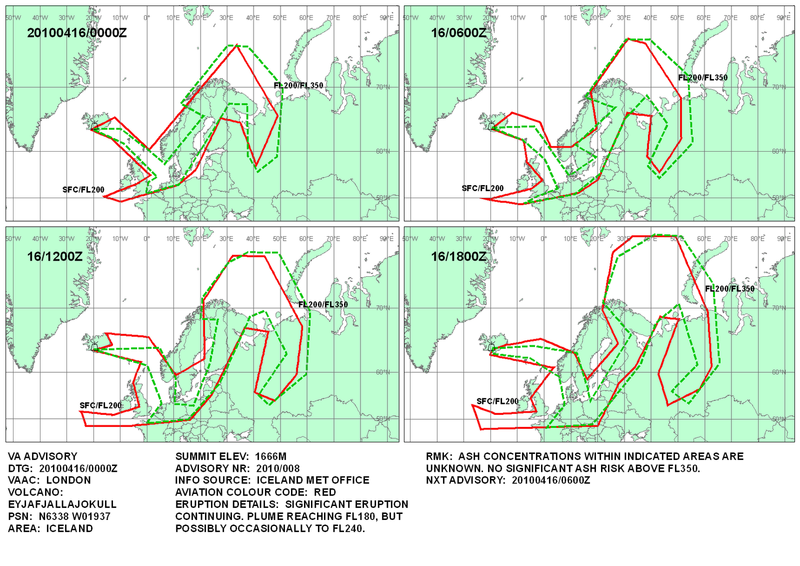 HomeIceland's Volcanic Eruption: Will it influence weather and climate? 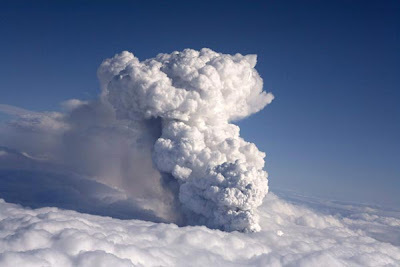 Iceland's Volcanic Eruption: Will it influence weather and climate? There have been a number of inquiries about the impact of the eruption of Iceland's Mount Eyjafjallokull volcano (how do you pronounce it?&%). I have a lot of interest in the weather/climate effects of volcanoes and have written several papers on it, including a paper on the local weather effects of Mount St. Helens. The volcano has sent a plume of ash, dust, and gases to altitudes of 40-50 thousand feet, high enough to be spread rapidly east by the jet stream winds aloft. The immediate danger is to aviation: the dust can clog jet engines, with the silica component melting and hardening on jet turbine parts. But what about weather and climate? This was not a particularly explosive event--not the equivalent of Mt. Pinatubo or St. Helens, to name only a few. The big question is how long the volcano will continue to erupt--the last major event of this volcano in the 19th century lasted a few years, but at a relatively low level. 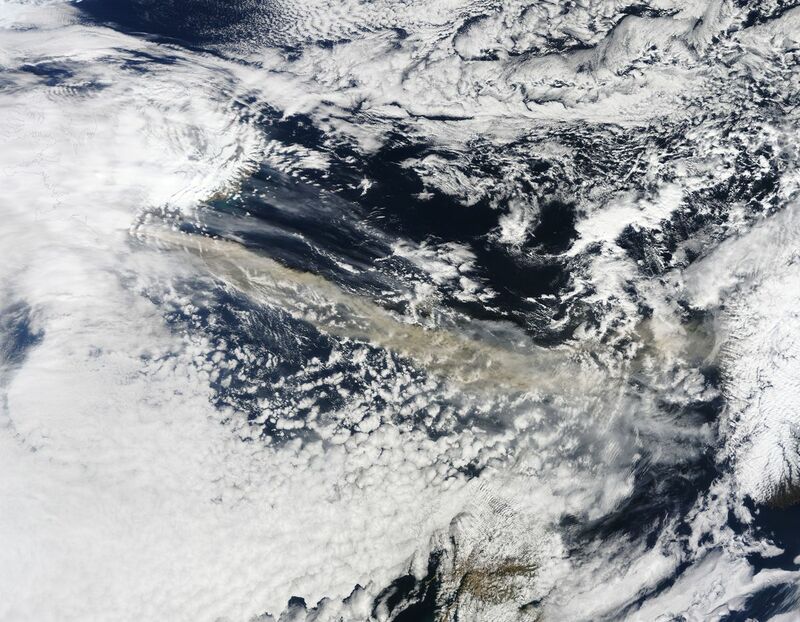 I have included some satellite images of the dust plume. In the picture at the top of the blog you can clearly see the dust (brown color) extending southeastward from Iceland. Another image is found below. Using satellite observations and knowing the winds aloft, we can track and predict where volcanic dust clouds will move. Here is the recent distribution at several times of the current event. The weather effects will be modest and short-lived. The large dust particles fall out or are washed out of the atmosphere, so if the eruption stops the dust will be removed in a matter of days. Weather effects include a loss of solar radiation and thus cooling during the day, while at night the dust plume can act to reduce the loss of infrared radiation to space and thus warm. 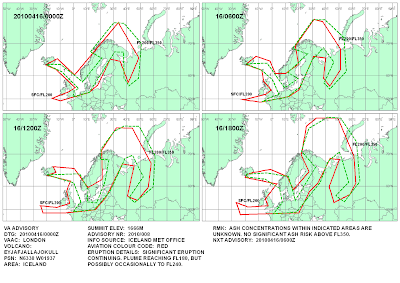 Significant weather effects will be limited to Iceland and immediately downstream for a hundred miles or so. St. Helen's plume caused 10-15F cooling during the next day over eastern Washington. 48h later, the effects were hard to notice. But what about climate changes? Dust and ash fall out quickly and have no climate impacts. But the sulfur dioxide gas can be lofted high into the stratosphere and combine with water to form sulphuric acid and sulfate particles that can produce a haze that stays in the stratosphere for several years (typically 1-3 years). Such hazes scatter some of the sun's rays back to space and produce cooling. In fact, several studies have shown a major eruption (in terms of injecting sulfur dioxide into the stratosphere) can cool the planet down by several degrees centigrade. Perhaps the most famous example is the "Year Without a Summer" of 1816, following the great eruption of Mt. Tambora in 1815. Killer frosts hit the NE U.S. and Europe in June 1816, crops failed, and amazing sunsets reigned. 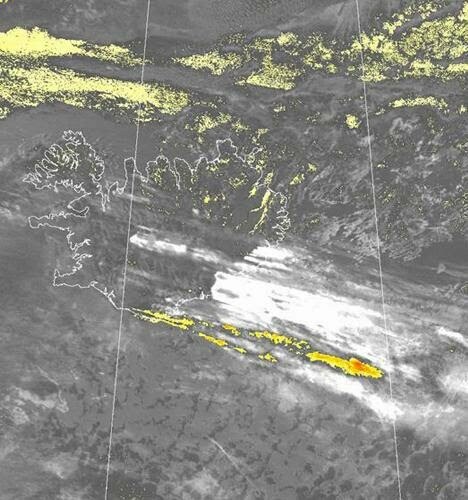 So the big question is how sulfur rich is the Iceland eruption, how much is getting into the stratosphere, and how long will the eruption last. A major eruption could tame global warming for a few years and in fact some geoengineering advocates think we should deliberately spread some kind of dust particle in the stratosphere to mimic an endless volcanic eruption. But this has a downside....such particles contribute to the destruction of the ozone layer. From initial reports, the sulfur content of the Iceland eruption is relatively low, so that would lessen its climate impacts. Another factor is the latitude of the eruption. Low-latitude eruptions have the most climatic impact since sulfur dioxide gas and resulting aerosols can spread northward into both hemisphere in the stratosphere, while midlatitude and high latitude eruptions tend to stay over northern latitudes, thus influencing a far smaller portion of the globe. Iceland is obviously pretty far north. And one more local factoid: Mt. St. Helens injected lots of dust and ash into the atmosphere, but was relatively sulfur poor--thus, it had virtually no climatic impact.